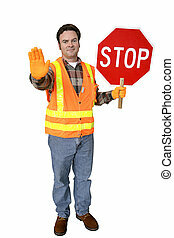 Crossing guard at school. 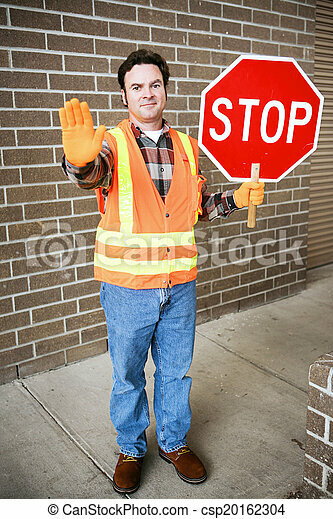 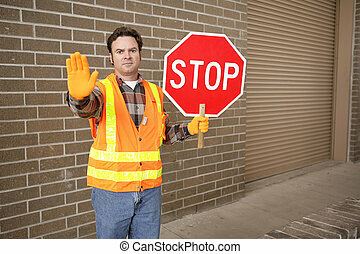 Handsome school crossing guard holding a stop sign. 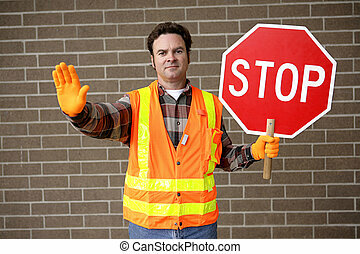 Handsome school crossing guard holding a stop sign. 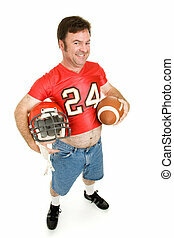 Middle aged man in his highschool football uniform, reliving his youth. 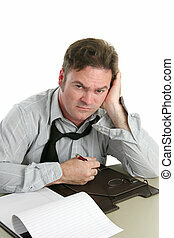 A tired, unhappy looking office worker after a hard day. 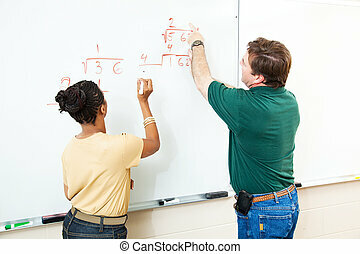 High school student and teacher at the white board doing long division. 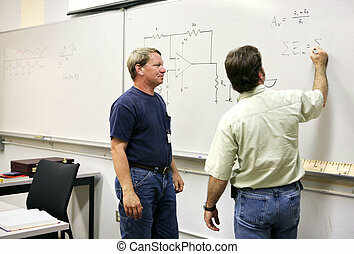 Focus on the equations. 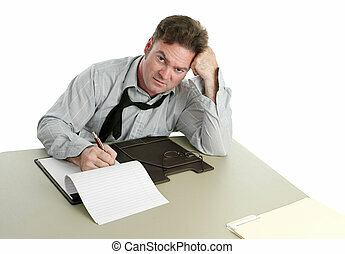 A man working late at the office. 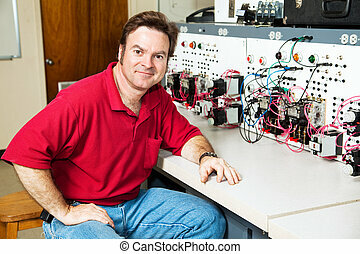 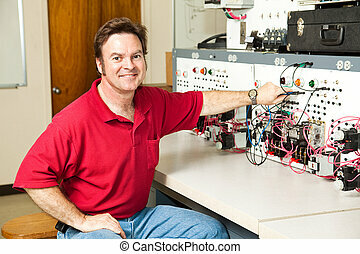 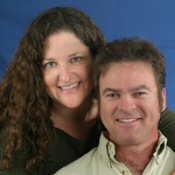 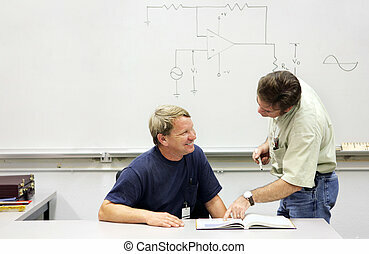 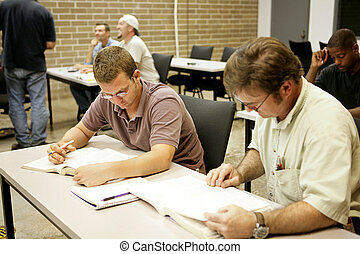 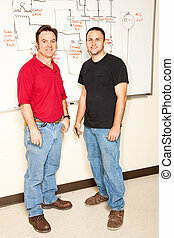 An adult technical college student smiling at his helpful teacher.